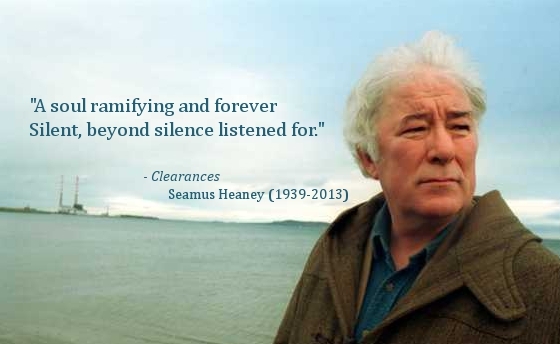 One of our great modern poets, Seamus Heaney died on 30 August 2013 at the age of 74. His contribution to English poetry was immense. Write a poem about or to your favourite poet that draws on the style of their poems. Send your submissions with the title "October Poetry Project" to pieter@slipnet.co.za before the 20th of October. Death comes in a hundred different ways. The old man knew this. that very soon you should be moving on." how close evil is to the ordinary. One Xmas on an off chance. Sand meeting surf for the first time. Sun kissed like never before. Said thank you for the music. Spring’s bright promise has come to this. So the thousand-dreamed home fails to show. And of those others and their desires. though you had more craft. Tonight will be a night for howling at the moon. our dark under-eye rings unrelieved by sleep. who call for clouds, for cool breezes, for the always elusive rain. Civilisation is a thin veneer. Shrug it off; let’s howl at the moon. The heat built for days in this bowl of the hills. Each morning a hot shimmer over tar and the gardens wilting. by its wild cousin claiming the night. Rivers spilled through the blasted air. willing sacrifices to the storm. presents us a definition of redemption. and the steeple of St Michael & St George. a weary ghost of other-worldly glamour. The prompt for the October Poetry Project arose from the event of the death of Seamus Heaney. My suggestion was to write a poem in the style of one’s favourite poet. Many of us try to emulate those we admire in all walks of life; in writing we might start out trying to follow in the footsteps of the great, like a child fitting her small footprints into those of the parent as she runs down the beach. Since setting the exercise, an African poet, Kofi Awoonor, was killed in the Nairobi attacks on 21st September. Pam Newham’s poem how poets die pays fitting tribute to him and his work, and reminds us of the connections between poetry and our lives. I would put the explanation (Ghanaian poet Kofi Awoonor killed, Nairobi, 21 September 2013) at the end of the poem, to amplify the shock as the poem moves from the quite normal scene of an elderly poet commenting on death, to the brutal killing. Linda Zinzi Sealy’s poem iwanttowritelikeeecummings humorously sets up the impossibility of our attempts to write in the style of writers we admire – in this case ee cummings’ use of punctuation and phrasing is so original we can spot those who imitate him straight away; I also like the way the poem sets a universal theme in an everlasting summer, then we discover we’re in Fish Hoek. Ross Fleming’s poem, The Master, must refer to J.M.Coetzee’s novel. His description of his response to the work is felt through and particular; he describes becoming more aware through his senses of the present, and of detail. The lovely stanza: Death knelt kindly on my grave / And whispered an old, gentle joy, / Lifting, releasing implies an acceptance of his own mortality. I would delete the line Soul mate? as it is a cliché. I suggest replacing the line with something original but I am not sure if it is important to the poem. The poem Ciao without a Vuvu by Sara P. Dias plays cleverly with Wallace Stevens’ poem Farewell without a Guitar. 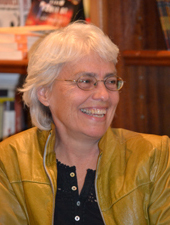 Whereas Stevens’ poem addresses the finality of the seasons of life, love and desire, and questions the construction of male reality, Dias’ poem tackles the literal construction of housing on the Cape Flats, or rather the lack of adequate shelter due to this trumpet of lies, and those others and their desires. I didn’t understand the reference to the cab driving home without its riders. The lines Are ticking constructions, / Of zinc and sun was particularly evocative. In setting the task of writing in the style of other poets, I have, of course, also set a trap for myself; I have had to scurry round the internet, educating myself about a number of poems and poets that have cropped up here. I am not familiar with all the references that Keith Edwards uses in his poem Sylvia P: And you, which has some remarkable lines. The title is striking in that it immediately sets up a conflict between Sylvia and an Other - her relationship with her mother, her father, her husband, death, and the reader. I particularly liked the lines: Selves revolved in you. / One fixed the Other with a detective stare, / curfewed at your pleasure, / speech from the air and 'The blood-jet is poetry, there is no stopping it', you would say, / as you reeled death in / day by day. The irony is that Sylvia’s death did stop her poetry; yet poetry in general continues, which includes many poems about Sylvia herself. I couldn’t find a reference to the Zen Beat boys; perhaps the image of juxtaposing Zen and Beat, and then saying that Plath had more craft than anything in that range is what the poet is saying? Perhaps not. The Beat generation would certainly have known Plath’s work. So, although it is interesting to have to apply one’s mind to a poem, the puzzle can’t be too puzzling. But then again, perhaps I am being obtuse. Jeannie McKeown’s three tributes to Don MacLennan’s poetry, Howling at the Moon, Grahamstown Storm, and Cathedral Moon, effectively capture something of his spare contemplation of the natural world. I googled what others have said about Don MacLennan’s work, and found this description in an obituary by Dan Wylie: ‘He was the master of the marriage of the simple, resonant image with the philosophical statement.’ McKeown has done exactly that in all three short pieces. In Howling at the Moon, I would replace the well-worn phrases of stars whirling and thin veneer with something fresh and original. I particularly liked the description of the lightning in the second poem, and the ghostly echo of the moon in the third.